Tiguidanke Camara is a former model turned mining entrepreneur, and the founder Chairman and Chief Executive Officer of Tigui Mining Group (TMG) and Camara Diamond & Gold Trading Network (CDGTN). 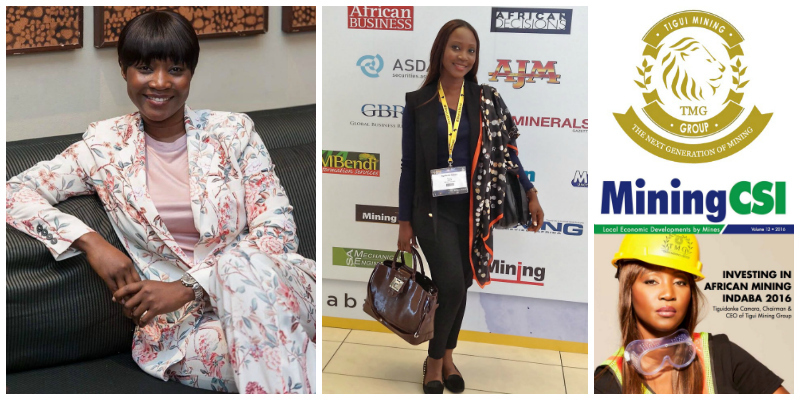 Tigui is one of the youngest women mining executives and one of the few women mine owners in Africa. A visionary and proactive businesswoman, she uses her entrepreneur background to pursue her objective of creating a conglomerate of natural resources and innovative technology companies. She is passionate about empowering women to take a more active role in the development of Africa's mining industry.